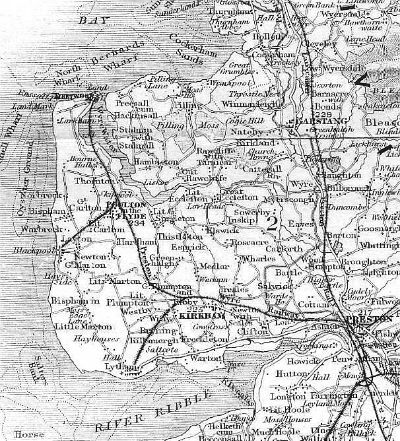 Map of the Fylde Coast c1850. The railway reached Fleetwood in 1840 and Blackpool & Lytham in 1846. The coast railway between Lytham & Blackpool was not opened until 1863. The resort of St.Annes did not exist until 1875 and the railway station opened the following year. For more railway history, click on the links to the left.